Another photo of the factory about 1907. I like pictures with old buildings in them but it gets much better when the yard in front of these buildings is littered with flywheels, cylinders and other engine parts! 3 hp no. 7677 as seen Coolspring 2010. Please send Denis your Jacobson engine numbers and pictures. Another photo of the plant. Later than first photo showing the large new building about 1907. Please send in your Jacobson serial numbers and photos to Denis at buzzcoil2@videotron.ca for the register. I recently ran across some magazines called "The Gas Engine Publishing Co." for the year 1904. The Jacobson Machine Mfg. Co. had ads in there every month. 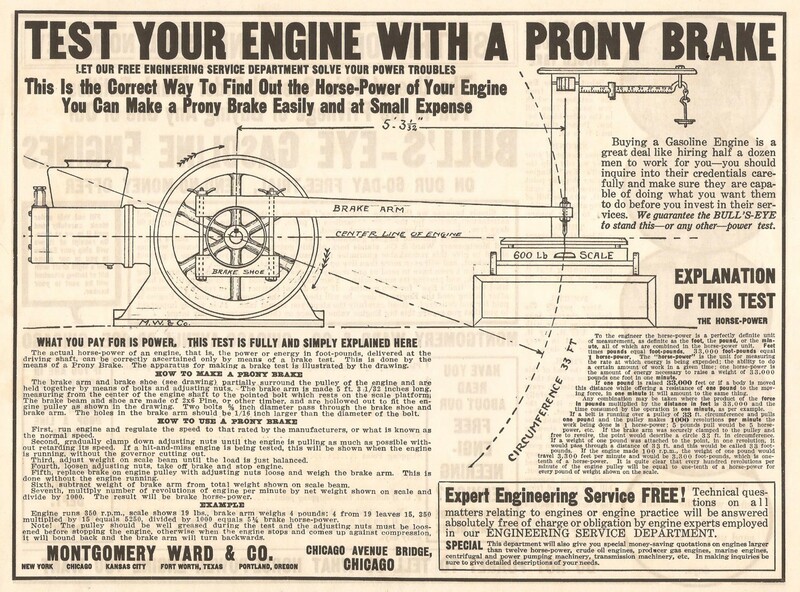 In 1904 they manufactured a wide range of items but gasoline engines was not one of them. I now strongly suspect that Jacobson did not build engines in 1904 or in prior years. I have not seen any ads for 1905 so I don't know if engines were offered that year. 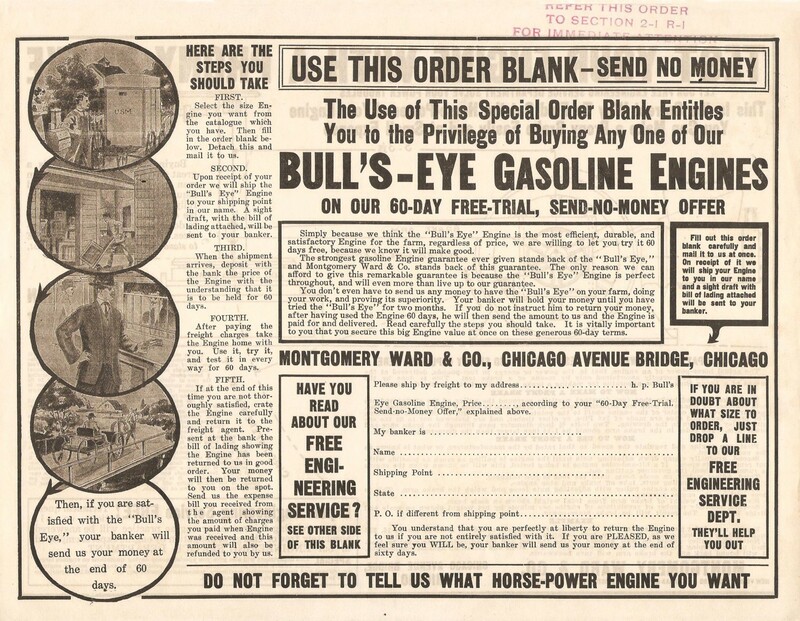 In 1906 I have a few ads in which Jacobson was offering gasoline engines. If you have a Jacobson magazine ad from that period, I would like to see it. Hand written factory paper listing drawings for headless engines by bore and stroke. Specification sheet for old-style headless engines. Montgomery Ward ad. Around late 1914 and 1915. Posted sideways for larger image. I believe that I am now the major stockholder in the company. Thats cool Don. To bad it didn't say J.D. Hogg instead of J.H. ! Were any Jacobson engines exported to Europe and Australia? No one from there have registered a Jacobson. Here in Canada I have only seen a handful of Jacobson engines and they sport the "MOODY" name tag. 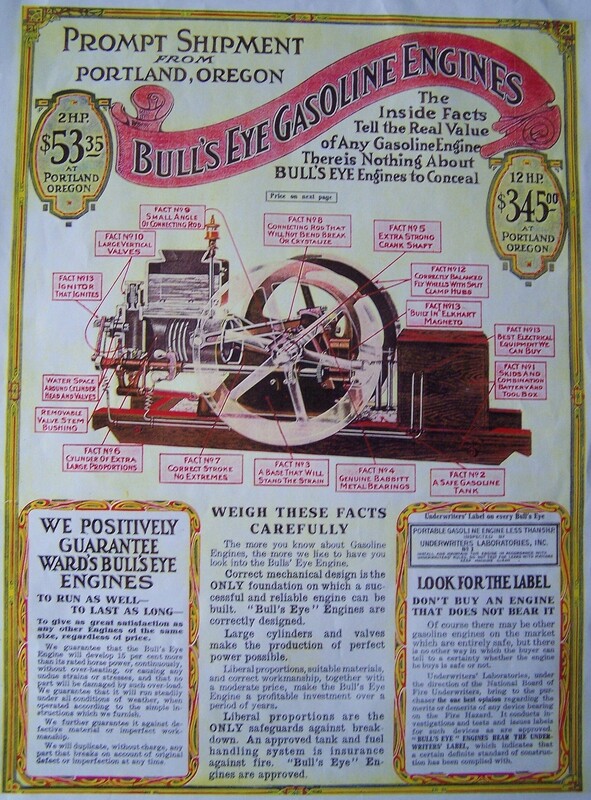 I'm sending you an order form for a Bull's Eye engine in case you wanted one for Christmas. Prompt Shipment from Portland, Oregon. Thanks to Denis for putting this on. I just hope is helps someone and maybe you will find a way to date these engines. I share hoping that if I need something someone will help! All times are GMT -4. The time now is 06:35:52 PM.